We are dedicated to promoting the attributes of the region as an ideal destination for outdoor recreation. Our Great Outdoors region is a big, beautiful part of Pennsylvania and the perfect destination for family fun and outdoor adventure. It’s home to the rolling Appalachian Mountains and more than a million acres of forestland including the Allegheny National Forest, Cook Forest and many state parks. Two mighty rivers cut across the landscape, plus there are fish-filled lakes, scenic overlooks, and wildlife galore including bald eagles and the largest wild, free-roaming elk herd in the Northeast. In the Great Outdoors you’ll find lots of great things to do, places to stay, eat and explore. But wherever you go and whatever you do – the vibe here is always relaxed and vacationing is very affordable. 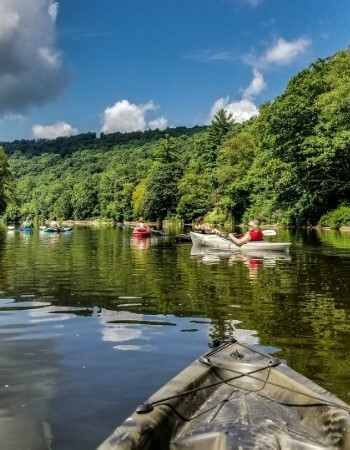 Find more interesting things to do and places to visit in the Pennsylvania Great Outdoors region by going to VisitPAGO.com or calling (814) 849-5197.